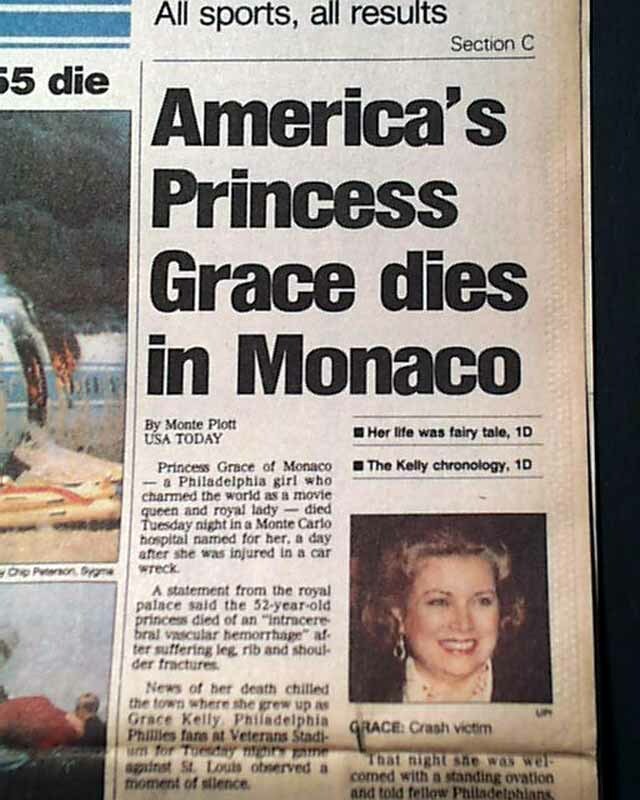 The front page has a two column headline: "America's Princess Grace dies in Monaco" with small photo. 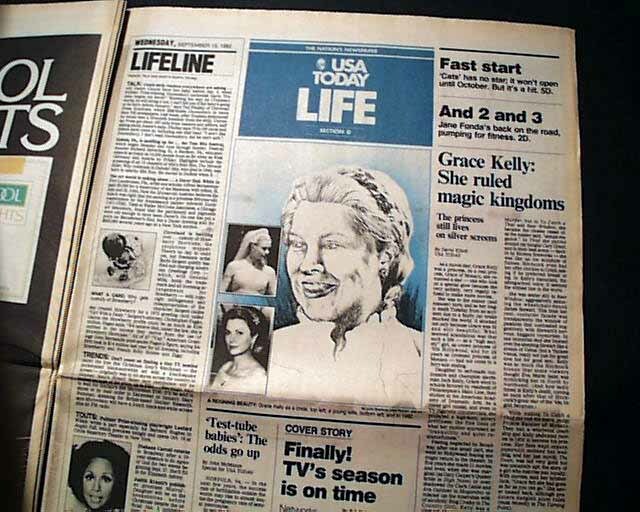 (see) More on the front page of the last section. 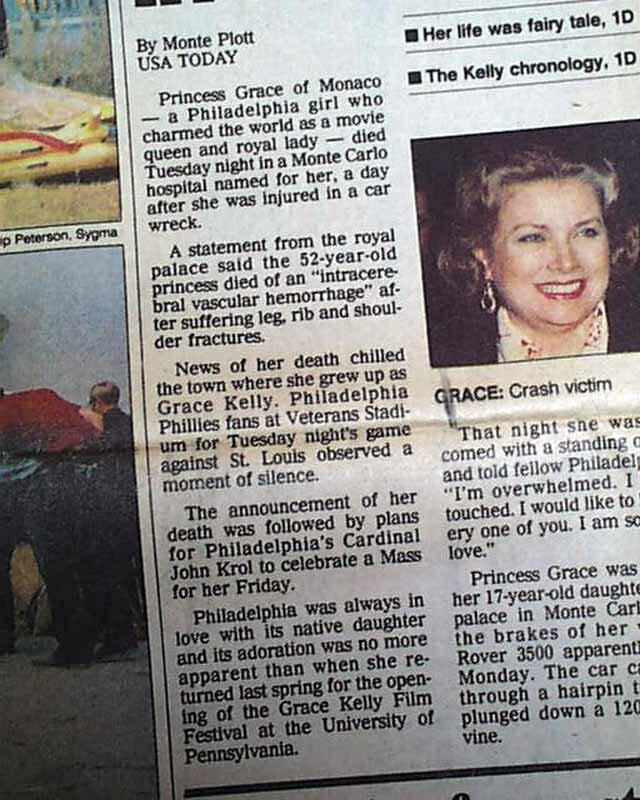 First report coverage on the death of American actress and Princess of Monaco, Grace Kelly. 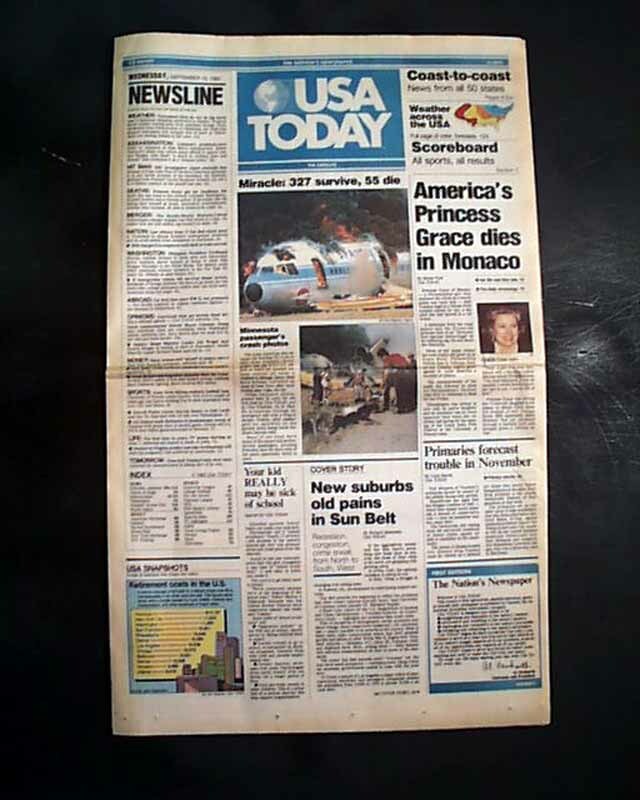 Complete with all four sections, nice condition.